On September President of Russia Vladimir Putin had meeting with President of China Xi Jinping. The two presidents discussed the current state of bilateral relations, prospects for developing cooperation, and current international and regional issues. Beginning of meeting President of China Xi Jinping sad: ‘It is a great pleasure to receive my old friend President Putin and all of the Russian delegation here in Hangzhou. I wish you a warm welcome to the eleventh G20 summit. As one of the key global economies and leading countries with established markets, Russia plays a big part in promoting health and stable global economic development and developing global economic governance. Russia successfully hosted the G20 summit in September 2013. I am sure that your participation will help us to achieve positive results at this summit too. You made a successful visit to China in June, when we celebrated the 15th anniversary of our major bilateral treaty [on friendship, good neighbourliness and cooperation], signed and announced three important joint statements and witnessed the signing of around 30 bilateral cooperation agreements. 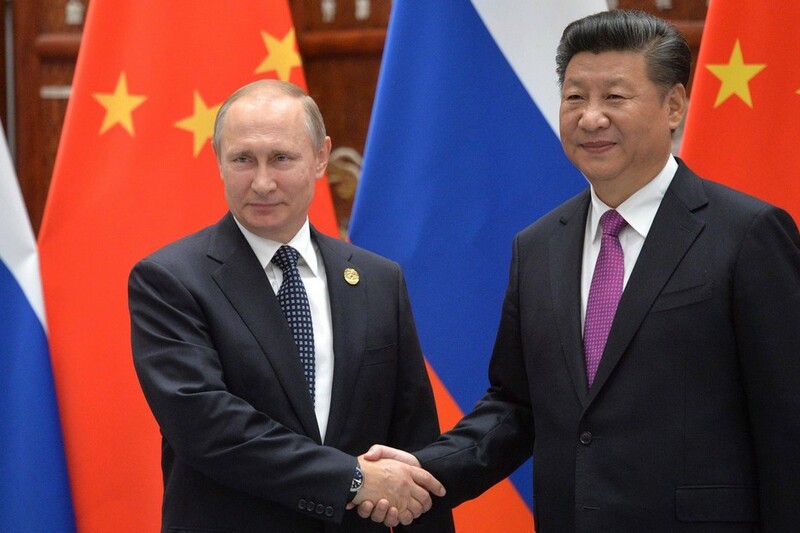 President of Russia Vladimir Putin sad: ‘We celebrated the 15th anniversary of our friendship treaty this year and, during my visit to China in June, discussed in detail all different areas of our cooperation. Our relations are developing just as well as we hoped. There are problems linked to the general global economic development situation, but there are positive aspects too. Our exports are growing overall, including in such important areas as exports of vehicles and equipment. We are grateful to you for the close attention the Chinese government gives to this work. This is improving our export and mutual trade situation in general. Of course, we do still have a lot of work to do, but I am confident that we are on the right track. I just met in Vladivostok with members of the Chinese business community. Overall, our Chinese partners are happy with the way we are building relations on the practical level, and I am pleased to hear that the political efforts we are making at the top are producing results for those who are engaged in the real economy and are at work on the ground in this area. We will continue pursuing our contacts at the political, parliamentary and public levels. We have youth organisations working together, tourism exchanges, and we continue our cultural cooperation. Our relations are developing just as well as we hoped. There are problems linked to the general global economic development situation, but there are positive aspects too. Our exports are growing overall, including in such important areas as exports of vehicles and equipment. We are grateful to you for the close attention the Chinese government gives to this work. This is improving our export and mutual trade situation in general.